Roof leaks are sometimes inevitable, even if you try your best to keep the system in good shape. Unforeseen circumstances like storm damage and other weather-related problems, for instance, can impair your roof. To help homeowners prevent leaks, Homecraft, Inc., your trusted roofers in the area, discusses what causes this roofing problem. Proper installation is an important factor when it comes to your roof’s service life, which is why it’s best to hire professional roofers to do the job. Working with amateurs will only put your roof’s health at risk, which may even cause leaks and more serious problems. Quality is always a priority, especially when it comes to roof installation. Subpar materials tend to succumb to the elements even for a short period after installation. Luckily, we offer GAF roofing systems that can withstand the test of time. These roofing products are backed by strong warranties, which guarantee long-lasting weather protection. Storms can bring torrential rainfall, high winds and even hail. These can all impair the roofing system and cause leaks. After every storm, inspect your roofing system from the ground using binoculars. If you notice any alarming damage, get in touch with your local roofer to address these problems. Your roofing system may be made of the sturdiest materials, but it’s still susceptible to damage. Don’t make matters worse by repairing your roof yourself. Do-it-yourself roof repairs do not ensure success, so it’s best to let your trusted roofer take care of roof leaks. 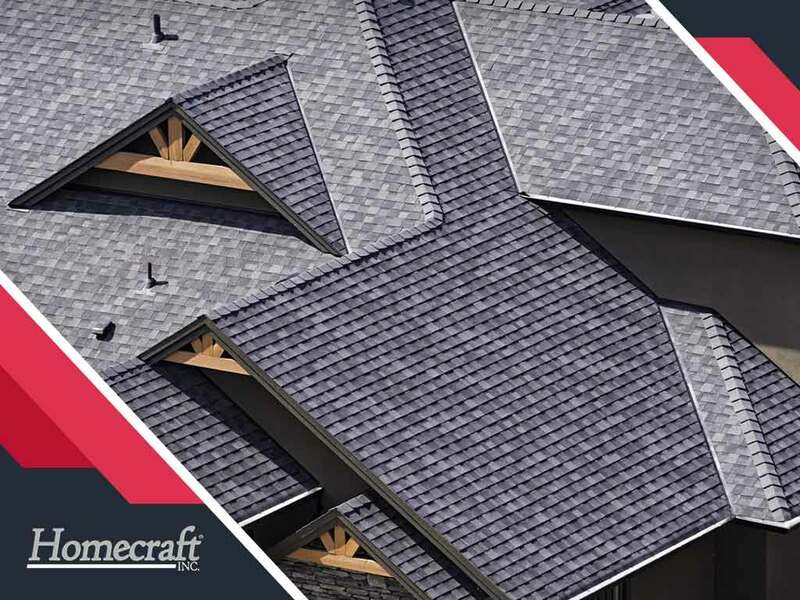 Entrust your roof repair and installation to a reliable contractor in the area like Homecraft, Inc. Our team will take care of your roofing problems to help preserve your home’s integrity. Call us today at (877) 494-0377. You can also fill out our online form to schedule an appointment.